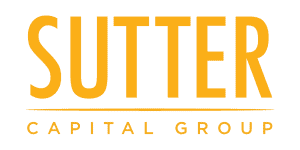 Sutter Capital Group acquired the historic 48,000 SF mixed-use building located in the heart of downtown Sacramento on the K Street retail corridor and one block from the State Capitol. The property had been underutilized by the prior owner (a government agency) and Sutter Capital Group implemented a comprehensive renovation program to reposition each component of the property: the upper three floors brought back to their original use as residential apartments, renovation and rebranding of the conference center and re-leasing the vacant ground floor retail spaces. The property was previously known as the Ransohoff Building (named for the former department store tenant) and Sutter Capital Group rebranded it to The M.A.Y. Building to recognize and reconnect the property with its historic past of originally housing the Mohr and Yoerk Packing Company (i.e. M.A.Y.) beginning in 1911 when the property was constructed. Today the M.A.Y. Building includes 21 elegantly renovated luxury apartments on the upper three floors (www.themaybuilding.com), a fully renovated 200 person event renamed the Capitol Event Center (www.capitoleventcenter.com) and releasing of the ground floor retail spaces facing onto the Cathedral Square and K Street.